Isn’t it interesting how the revolution in horsemanship, which began in the late 20th century and which is now flourishing internationally, began with the efforts of a few cowboys in the Pacific Northwest of the United States? Who would have expected the “bronc busters” who “broke colts” to have created such a humane, sensible, safer, gentler, and more intelligent method of communication with a domestic animal. When Rick Lamb and I co-authored The Revolution in Horsemanship our subtitle was “And What It Means to Mankind”. What does it mean? How do these aspects of horsemanship relate to how we humans treat each other and how do they facilitate human relationships? One of the early teachers of this kind of relationship is Monty Roberts of Solvang, California. Last I heard he was teaching more people in industry, than are into horses. Another book on Business / Leadership is The Five Roles of a Master Herder. Subtitle: “A Revolutionary Model for Socially Intelligent Leadership”. The author is horsewoman Linda Kohanov, New World Library, Novato, California, 2016. 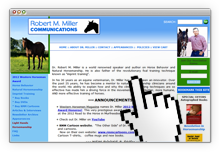 Again, Me and Mr. B by Niki Wilde, Tueller’s Press, 2008, relates the “Natural Horsemanship” method, as taught by Pat Parelli, with optimum methods of communicating with and helping autistic children. Personally, learning the best way of handling horses, whether they were my own, or my client’s, helped me in all of my human relationships. I am a fast worker. I learned to slow down. I am impatient. I learned the great value of patience. I have always loved animals and tried to be kind to them. The revolution in horsemanship reinforced my attitude. 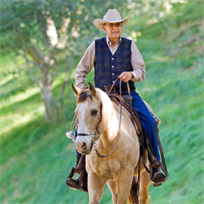 Importantly, I was encouraged to treat clients, associates, employees, and family the way I treated horses. I don’t think that any animal training method was ever so pertinent and applicable as to how we communicate with our fellow humans as what became belatedly popular in the last quarter of the 20th century: The Revolution in Horsemanship, also known as Natural Horsemanship.